Delayed from last week due to the usual problems, let’s give ur’ another shot. . .
NOW! LIVE! 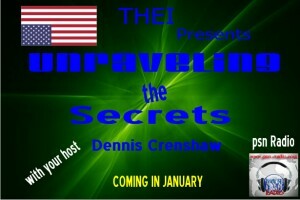 Unraveling the Secrets First Show! MEET The Hosts! 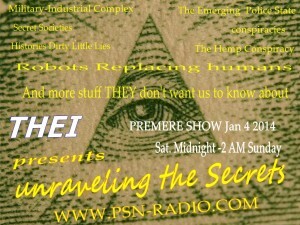 Listen NOW on PSN-Radio “Unraveling The Secrets” or embedded radio on the right. 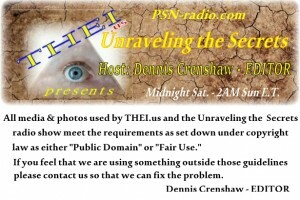 Your Host: Dennis Crenshaw EDITOR THEI.us. Co-Host Stephen Roberts. An edited version of an interview from an earlier show with Jim Hogshire author of “Grossed-out Surgeon Vomits Inside Patient! 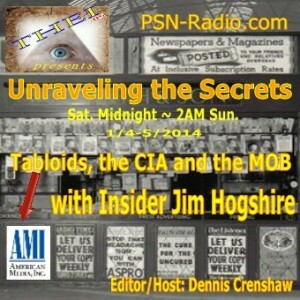 An Insider’s Look at Supermarket Tabloids”. 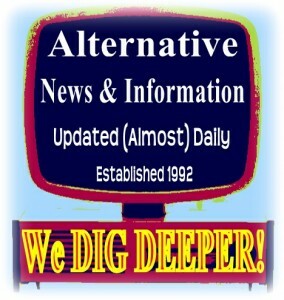 A second chance to hear information seldom hear or read anywhere. Don’t miss this first show of the year.